The password is something that many of us are familiar with as everything from our email accounts to logging into a PC at work require this cryptic means of securing our content. Over the past few years, the idea of a traditional password has brought us to the realization that they are inherently not as secure as you may think. To bolster our current passwords, everything from 'picture passwords' with Windows 8 to biometric solutions have been tried in the past to add another layer of protection. With Windows 10, Microsoft is introducing a new authentication mechanism called Windows Hello, and if you have the correct type of hardware, you will quickly see why your face (or fingerprint) will be your password going forward. I was able to try out Windows Hello with a new Lenovo laptop that features support for Windows Hello. Be aware that not all webcams support Windows Hello but you can find a full list here of those that do. After my time with the new authentication system, it's fair to say that I walked away impressed with how quickly and easily it works. As you can see in the short video above, which includes the entire setup operation, you have the camera scan your face twice (only once is necessary but it's recommended you do it twice) and that's it. It took less than one minute to setup and as you can see, it logs you in very quickly. 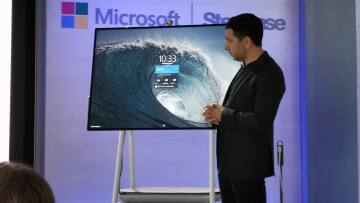 Microsoft says that Windows Hello offers enterprise-grade security and that it meets the requirement of organizations with the strictest requirements for accuracy and security. The company believes that organizations from government departments to defense firms, financial corporations, and health care providers will adopt Windows Hello to further strengthen their on-site security. There's no question that the feature will catch on with consumers as the hardware rolls out. 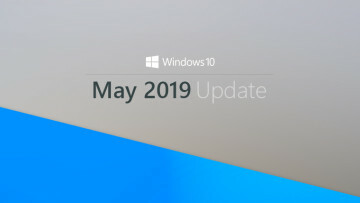 At first, it may not be used by many, but once the webcams that support the feature become more widespread, Windows Hello is going to make our machines a lot more secure without having the need to remember a complex password.